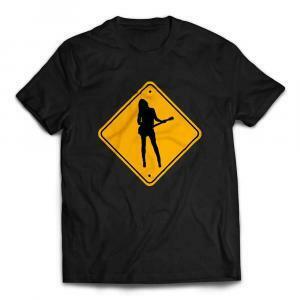 CAUTION: Girl Guitar Player Ahead! Not that that’s a problem, not at all! The only thing sexier than a beautiful girl holding a guitar is a serious woman playing an instrument, with passion! This is how every guitar player should feel when picking up a guitar… ecstatic! – let the attitude fly. Enjoy this Girl Guitar Player Caution Sign Tee. President Trump News: Trump Plays Guitar! 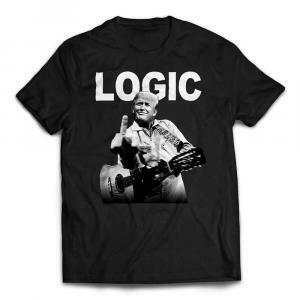 US President Donald Trump has admitted giving anything remotely resembling logic, given up politics, and has taken up guitar. Aids close to the President report all is well. The country is in great shape now that the President has finally come to his musical senses. Support the President’s right to freedom of musical speech. 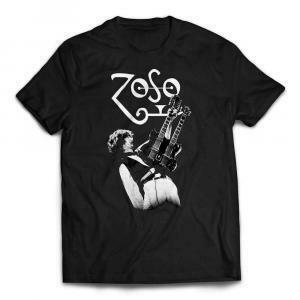 This is a super quality, custom designed Les Paul guitar t-shirt perfect for any player that loves guitars and the familiar iconic design. Simple and to the point, a totally unique design that’s as individual as the player who wears it. 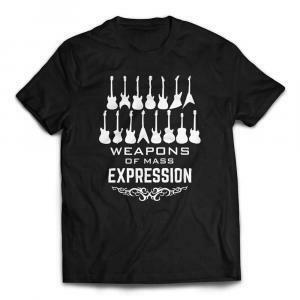 Makes an excellent gift for any guitar player!